Crime statistics show that a burglary occurs almost every minute across England and Wales. Being burgled isn’t a momentary event that only affects our home and belongings; it can have a lasting impact on our lives. The level of security in your home can be a genuine deterrent or prevention of being burgled. What does protection from break-ins look like in a Loxone Smart Home? needs to spring into action. deserved holiday. Your home may be empty but it certainly doesn‘t appear that way to any on-lookers. your home will be a target. send them running for the hills. sensors, your Loxone Smart Home will know when something is amiss and start reacting immediately. to make off with any of your belongings. A Loxone Smart Home is always on the lookout. It‘s always prepared but hopes it never needs to spring into action. Imagine this: you and your family are on a much-deserved holiday. Your home may be empty but it certainly doesn‘t appear that way to any on-lookers. Sophisticated home automation means your home doesn‘t give any clues to potential burglars that you‘re not at home. While you‘re away, your home mimics your presence – turning the lights on and off and opening and closing blinds just as it would if you were at home. By realistically recreating these actions, it‘s very unlikely that a potential burglar would think that no one is at home. For opportunistic burglars, this presence simulation feature quickly reduces the chance that your home will be a target. If a burglar does try their luck, your home will immediately spring into action – with conspicuous flashing lights and an overwhelming alarm tone – all in a bid to send them running for the hills. There are many ways a burglar could potentially find their way into your home. Whether it’s through a window or an unlocked patio door. However, using a combination of sensors, including motion sensors, and glass break sensors, your Loxone Smartv Home will know when something is amiss and start reacting immediately. If your home detects an intruder, a three-phase alarm is triggered to alert you, and any passersby, as soon as possible. This gives the burglar as little time as possible to make off with any belongings. You will immediately receive a notification via the app on your smartphone. If a false alarm is registered, your home will automatically take care of this for you. In the second phase, you will receive a call on your mobile phone and your Loxone Music Server will turn the multiroom audio up to full volume. It can play a sound of your choice, from a shrill alarm tone to heavy metal music. Either way, it attracts attention and makes a burglar more likely to leave in a hurry. Phase three sees your smart home opening blinds and curtains to draw attention to the intruder. 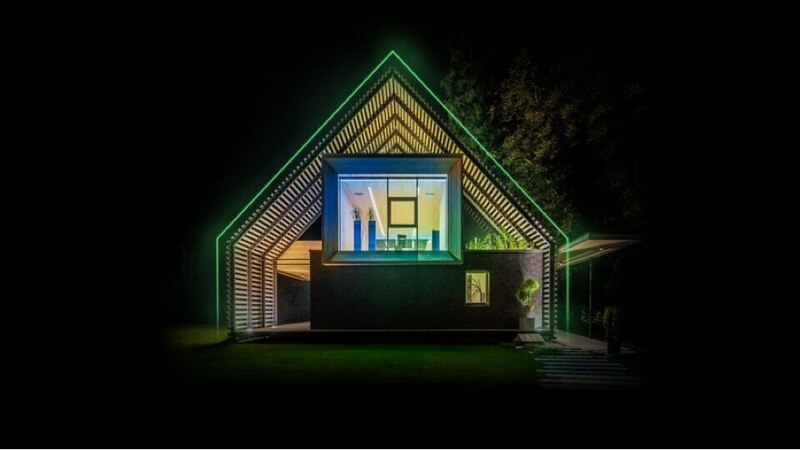 The Loxone Smart Home is now “transparent”. Coupled with conspicuous flashing lights throughout the house, your neighbours and passersby are more likely to see that something is amiss. your holiday snaps until you’re back home. photo, try to remove it, and contact the police. it can also be a condition of your home insurance. Even though your smart home will keep watch and automate various safety and security aspects for you, there are still a few things you can do to contribute to the protection of your own four walls. Here are five tips for you to consider to minimise the isk of burglary and give you more peace of mind. Whether it ‘s underneath the doormat or under a flowerpot, chances are criminals have thought about these hiding places for keys too. Don‘t risk it. Never leave a spare key hidden somewhere outside. Instead, keep your keys with you or perhaps think about using smart access features like pin code entry that unlocks your front door. If you‘re going away for more than just a quiet weekend break, then chances are your letterbox will be an easy telltale. If your letterbox is beginning to burst at the seams, then it‘s likely no one has been home for a fair few days. What a great opportunity for a burglar to make their way in and take their time going through your belongings. To avoid this obvious indicator, why not ask your neighbours to clear your mail while you‘re away. You‘re waiting to board your 10 hour flight for an all-inclusive week away at a 5 star resort. Social media might be a great way to share the news of your holiday, but the information this gives potential burglars is invaluable. It‘s no effort for someone to search for specific hashtags and locations to narrow down their options of houses to burgle. Try to hold off from posting your holiday snaps until you’re back home. Perhaps you‘ve seen such markings before. A weird symbol in chalk on one of the bricks. It‘s probably kids being a nuisance, right? Well, it might not be. Some criminals have been known to make chalk or charcoal markings on walls, letterboxes, driveways, or doors as part of a secret language. For example, these can denote a wealthy target, a vulnerable occupant, a warning of a guard dog, or a property with no alarm. If you ever find one of these on or near your property, take a photo, try to remove it, and contact the police. Check your insurance policy; it probably asks you if your windows have key-operated locks and if your doors have five-point multipoint locking systems. If they do, you‘re expected to use these. Leaving your window slightly open to allow some air circulation while you‘re away on holiday is not worth the risk. This makes it easier for someone to gain access to your home. Be sure to properly close all doors and windows and to lock them. Plus, ensure keys are out of site of any curious passersby. This is more than just good practice, it can also be a condition of your home insurance. Thinking about installing smart security in your home? 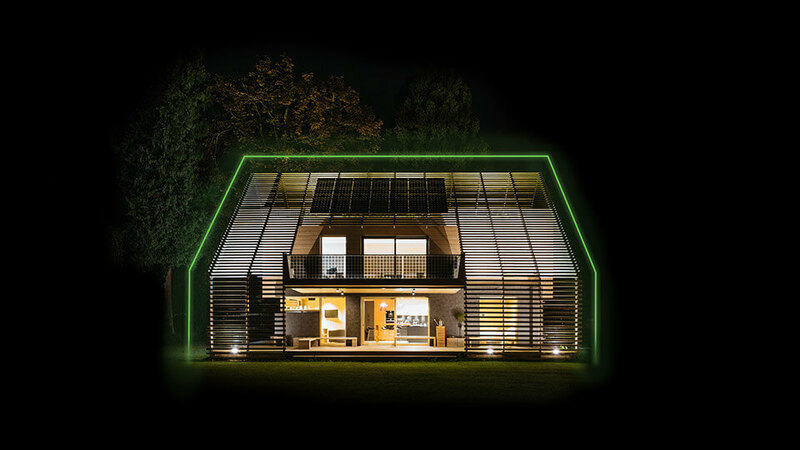 Or just want to discuss the possibility of turning your home into a Real Smart Home? Book a free consultation with one of our team.